Hey friends! I haven’t posted much recently because rather than doing projects at home, I’ve been either helping others with their projects, or traveling! 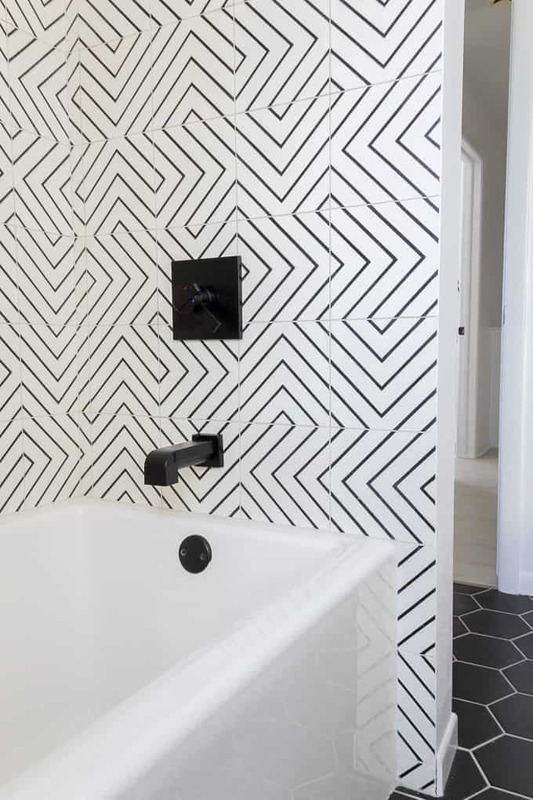 Today I’m sharing my friend Jill’s AMAZING modern black and white bathroom. Over the past year I’ve been helping her with a bunch of design decisions, and I’m going to get to share them all with you here! I’m naming her house the #SurpriseSuburbanReno. 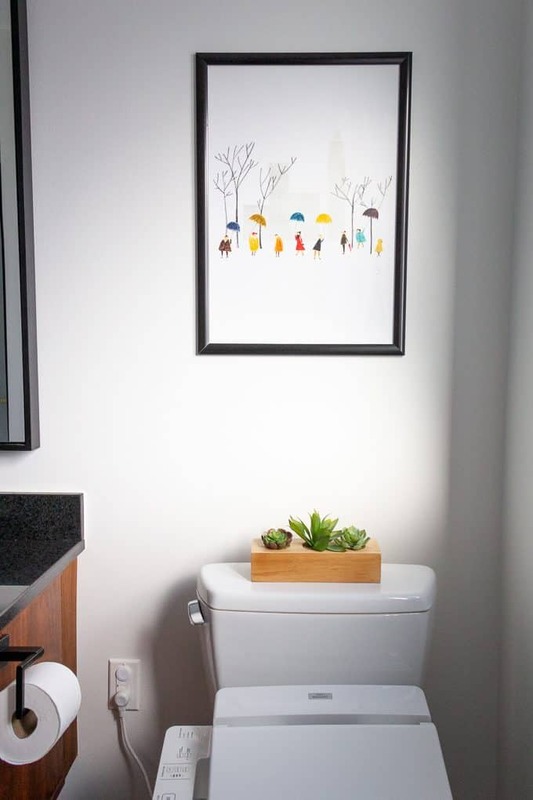 “Surprise” because every room has a fun and artsy unexpected twist! Suburban Reno because it WAS a typical dated suburban home, but by the time we’re done with it, it will be far from your typical house in the suburbs. 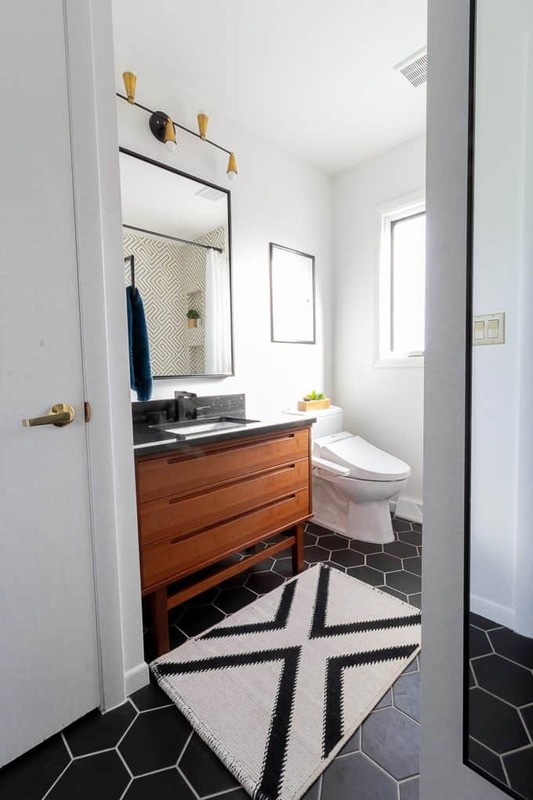 Eventually you’ll get to see the rest, but today I’m sharing the amazing bathroom! In order to recognize just how amazing this is, you HAVE to see the before photo, here’s a side by side, pretty amazing huh?! The prior owners definitely had a thing with pink, from the pink carpet, to the sink, to even the toilet! Thankfully they gutted entire bathroom. 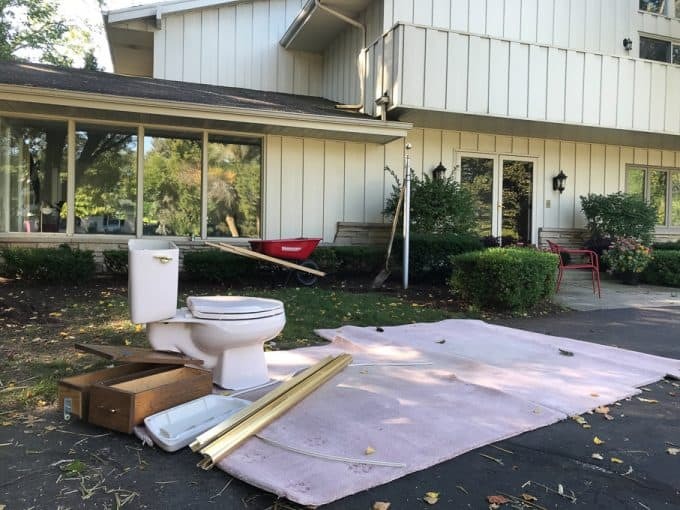 I was glad to know I’m not the only one to have old bathroom fixtures sitting on my driveway during a remodel! 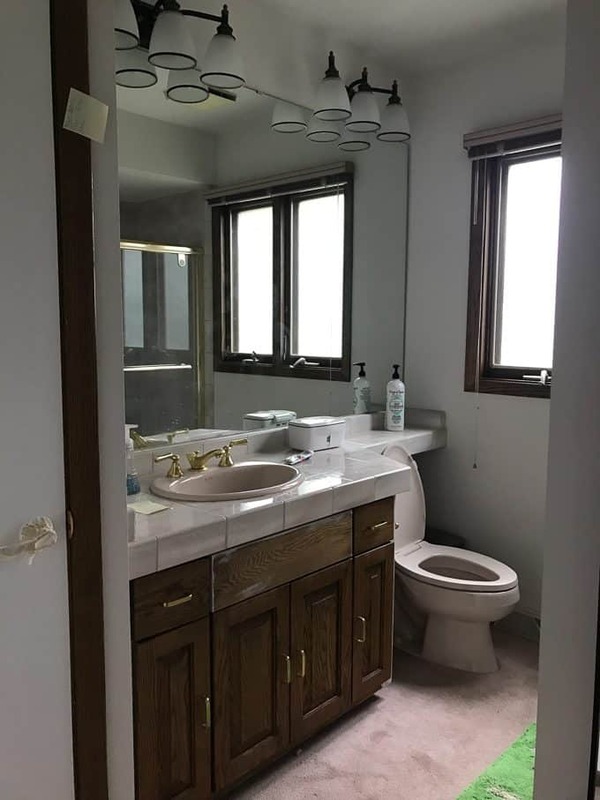 Once the bathroom was gutted, they made quick work of getting it put back together. 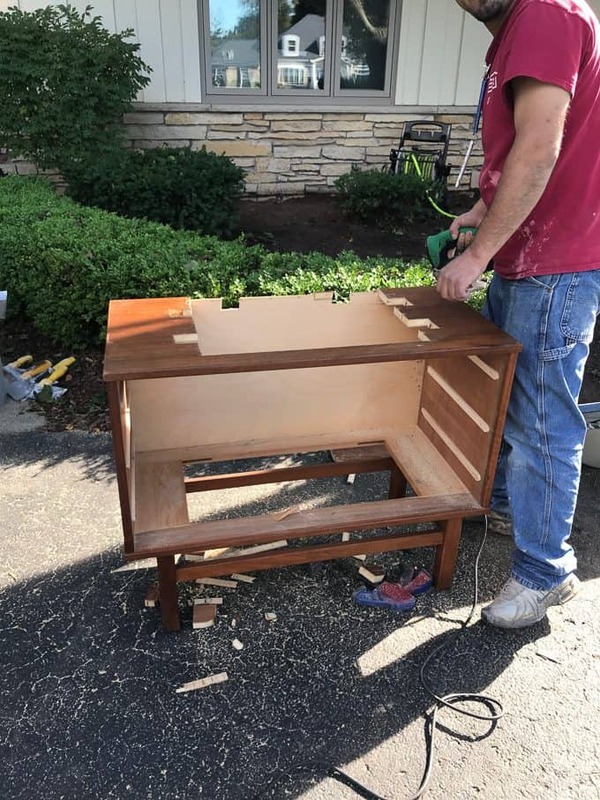 Jill’s handyman dad helped her turn this Craigslist dresser into a vanity! The did this by cutting out the top for the sink, then used a pre-cut granite sink. 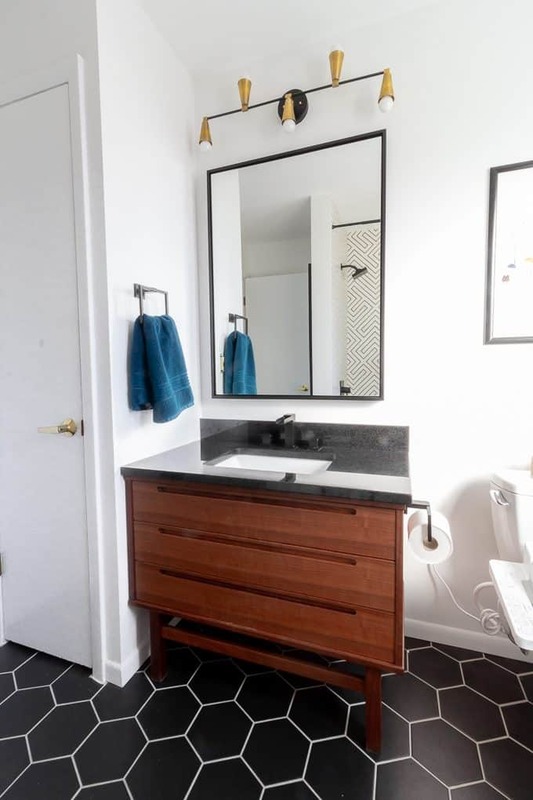 In order to make space for the plumbing they just had to shorten the top drawer. 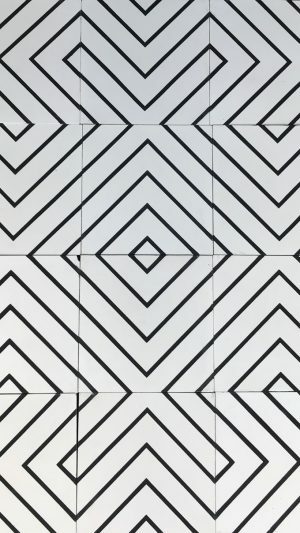 Jill chose this amazing geometric tile for the tub surround and had tons of options when it came to the layout. 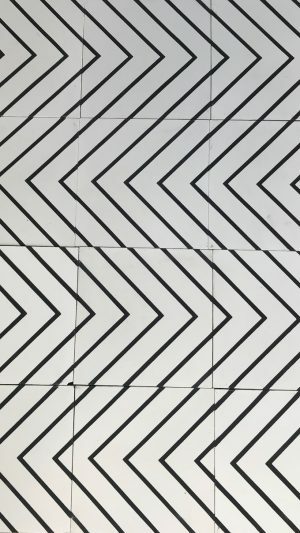 She ended up going with this pattern and it looks SO SO SO good. 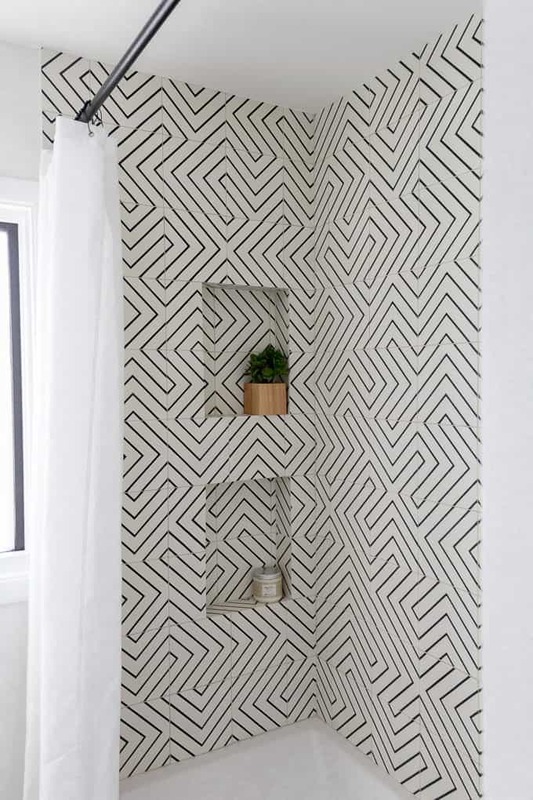 We were a bit afraid it might be too busy, but between the white curtain and white tub it’s totally perfect. 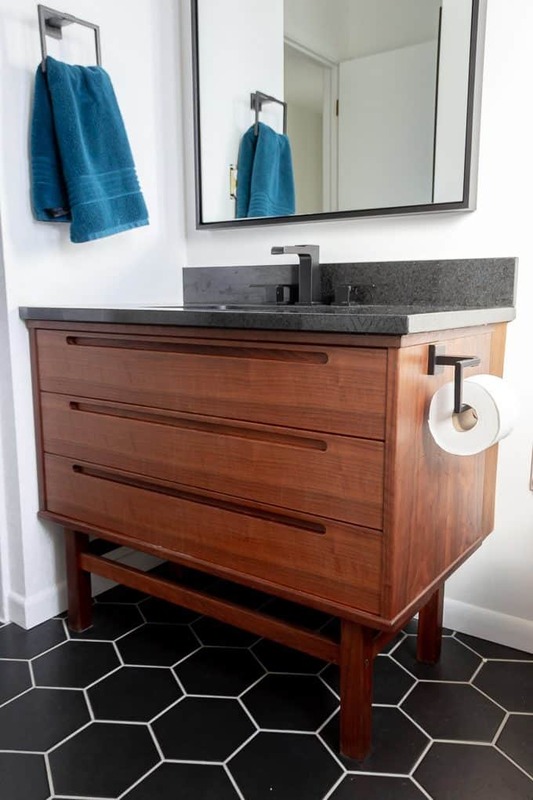 We went with these matte black fixtures which really pop and go great with the matte black tile. 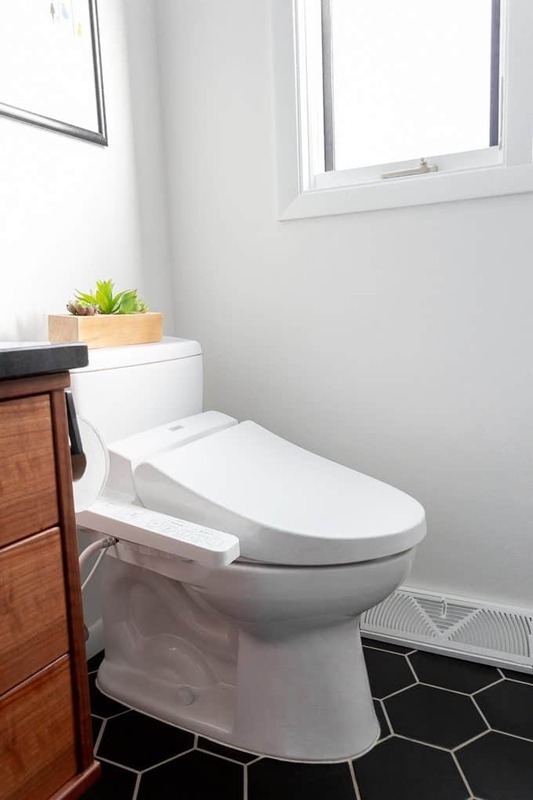 One detail that Jill was certain about was getting this Toto Bidet. 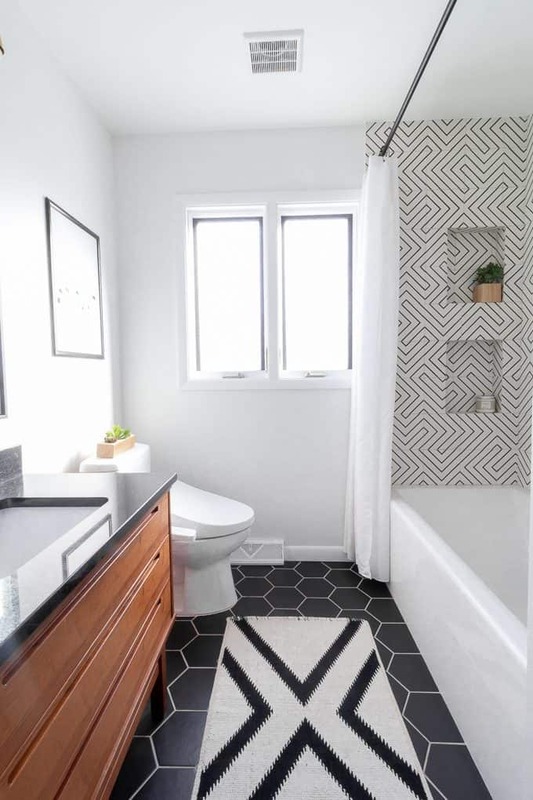 Her two little boys love it and it brings a feeling of luxury to the bathroom! 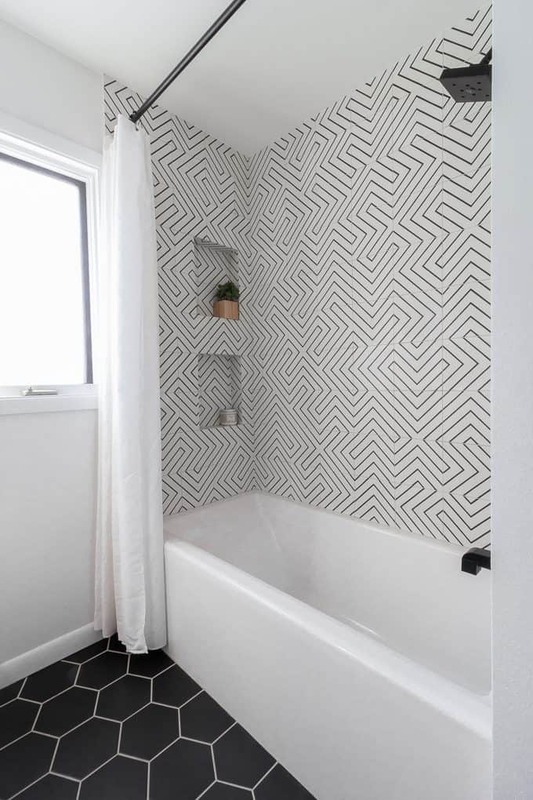 Jill found this beautiful painting on Etsy and it’s the perfect little pop of color in this otherwise black and white bathroom. We round this super cool raw brass light fixture on Etsy, and the black mirror on Amazon. 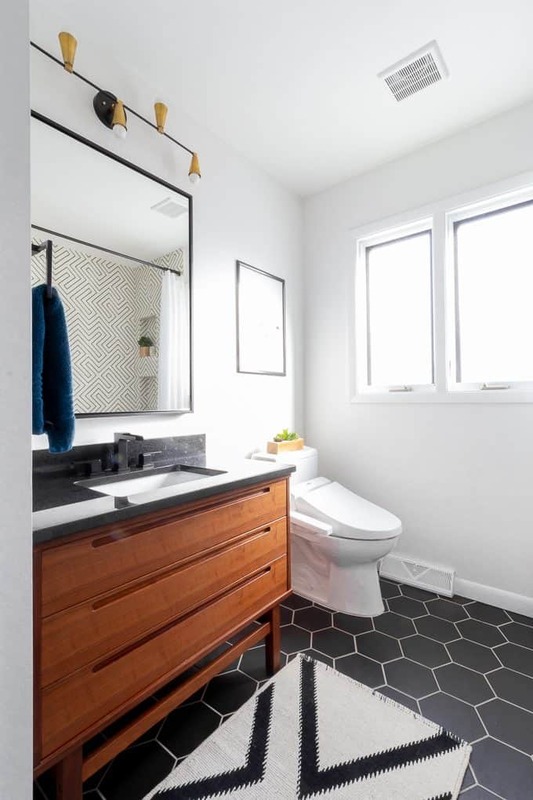 I hope you love getting to see all the details of this bathroom! 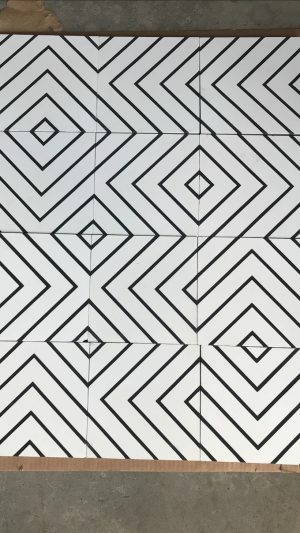 It’s such a fun, fresh, and modern take on a space that was SO dated. To shop the sources from this room you can click on the images below.